We offer a wide variety of accessories and pavement markings. 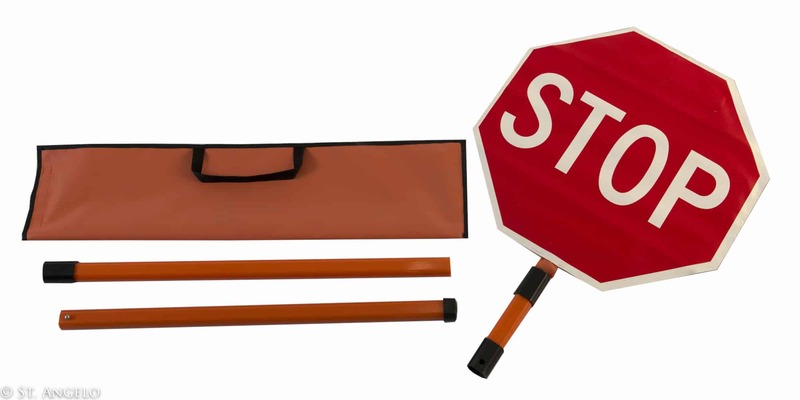 These include stop/slow paddle kits, flags, flag brackets, orange fencing, sandbags, caution tape, sandwich boards, barricade lights, reflective pavement markers, and much more. We’re sure to have what you need; even if we don’t carry it in stock, we can order it for you. To learn more about our selection of construction accessories and pavement markings, please contact us. We’d be happy to answer your questions and give you a free quote. Type AR-D, B, BB, C, G or H.
Colors: clear, amber, blue or red. 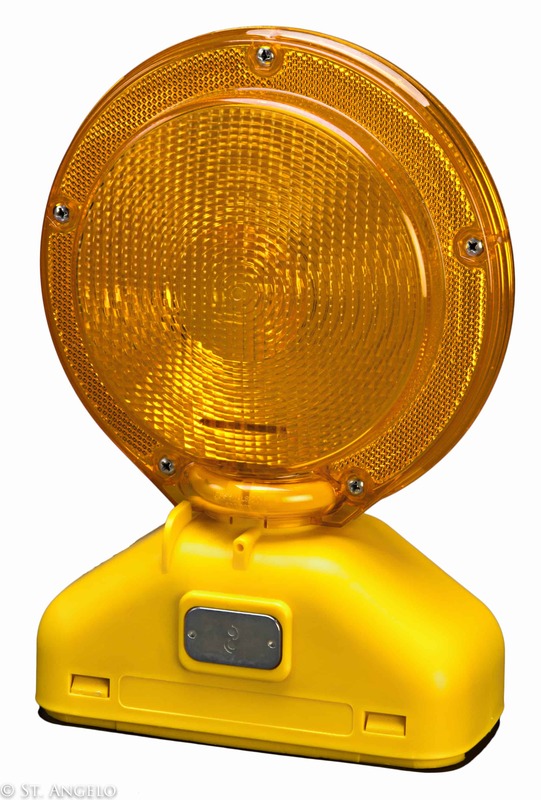 Type A/C (two-sided visibility), D-cell, 3-volt, 3-way operation. Steady On, Flashing, or OFF. Only operates at night and automatically turns off during daytime to extend battery life. Meets ITE specs and is NCHRP-350 approved. Lens colors: red and amber. Also Available in solar power. Lens colors: red and amber. Also Available in solar power. 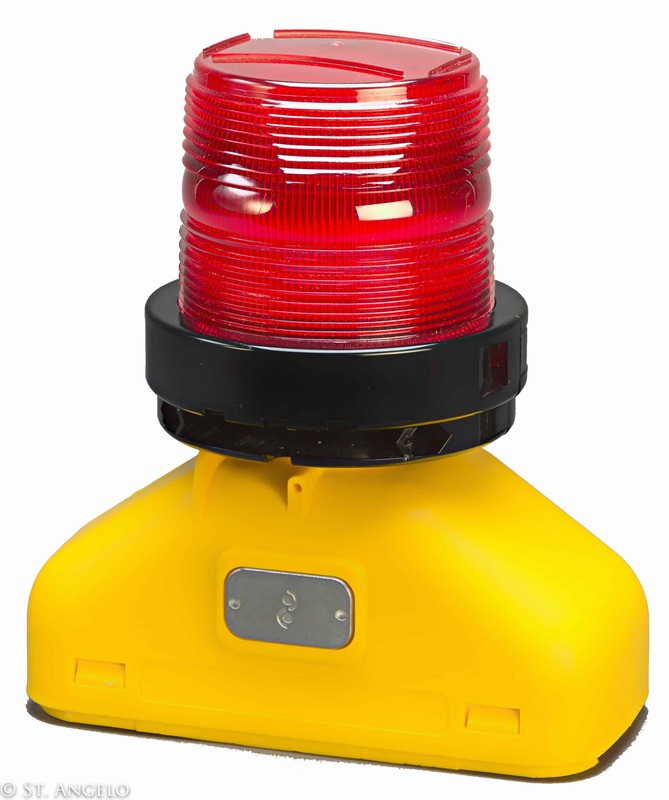 UniLamp 360 degree Cone Light, Flashing or Flashing with photocell. Lens colors: yellow and red. 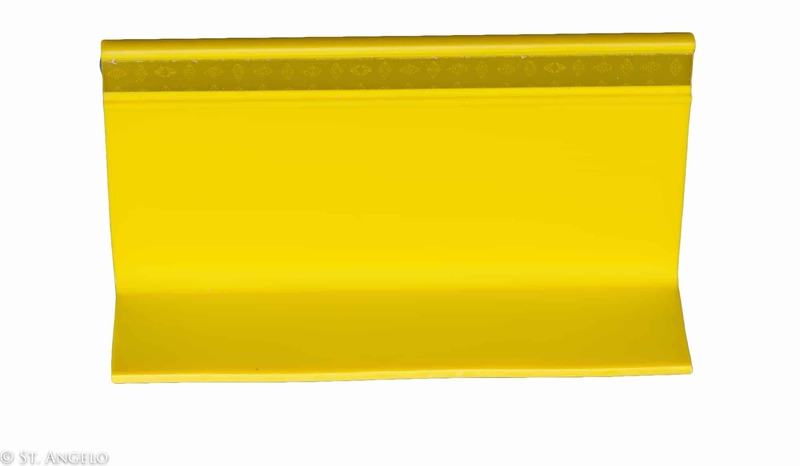 Add additional visibility to any barrel by adding a two-sided barrel reflector. 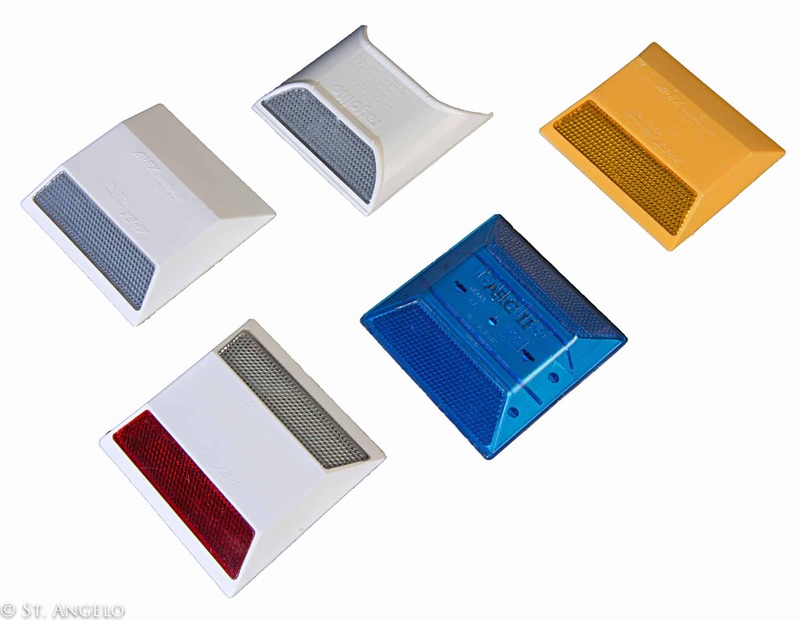 9” square reflectors for concrete barriers, bridge parapets or wooden guardrail posts. 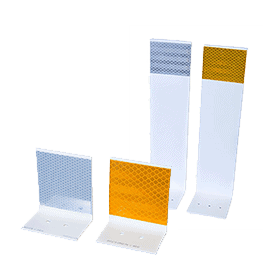 16” tall wall markers for low-profile concrete barriers. Pre-drilled holes for quick installation. 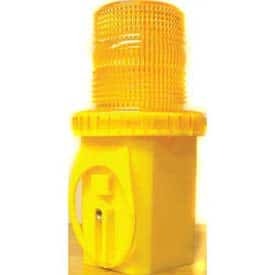 Double-domed surface, reflective, self-adhesive, effective for long-term temporary road markers. Primarily used for short-term temporary lane line markings in work zones that involve asphalt paving projects. Reflective sheeting on one or both sides. Simple install and removal with self-adhesive backing. 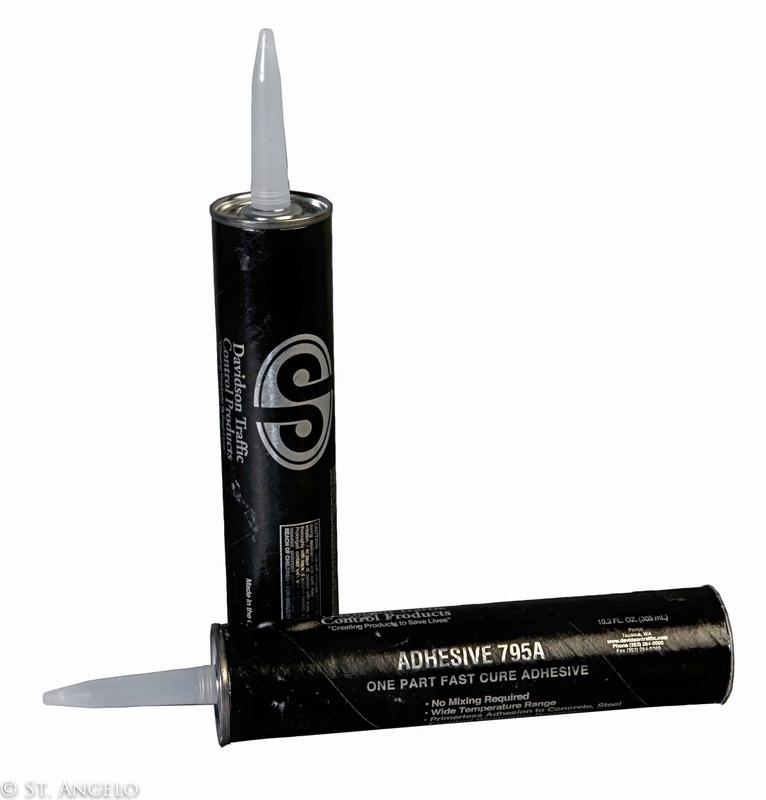 One-part, fast-cure adhesive for bonding barrier markers, guardrail reflectors, and other delineated products. Requires no mixing, use with standard caulking gun. 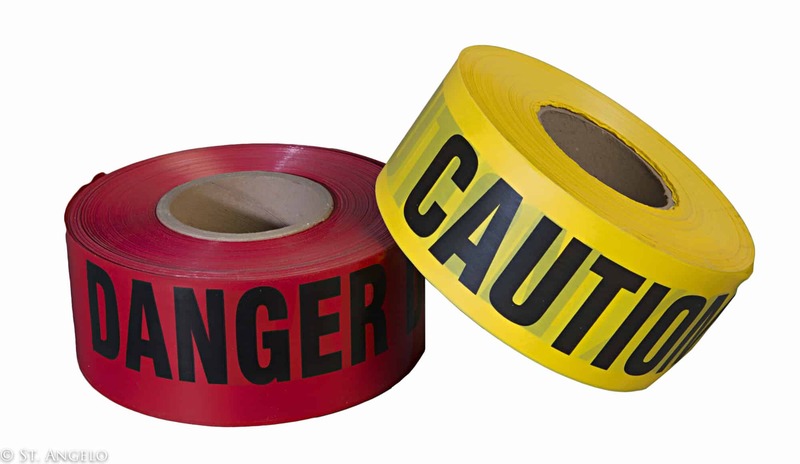 4” wide x 300’ long rolls. 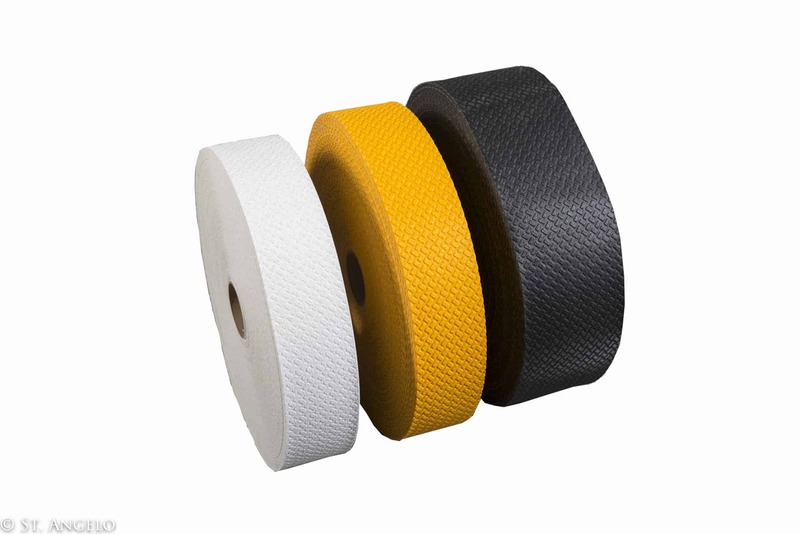 Colors: yellow, white or high-contrast black. 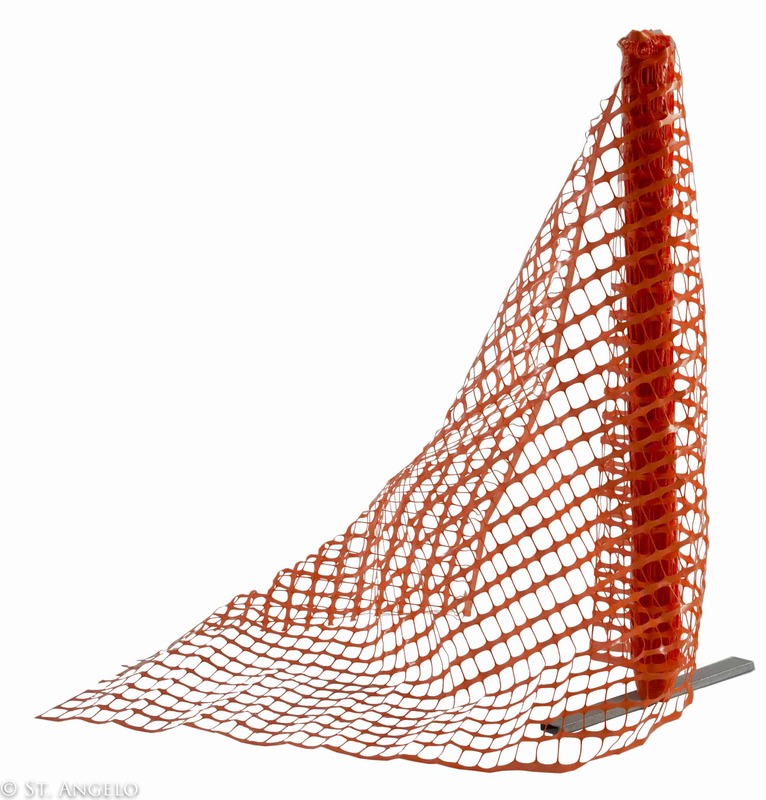 Rugged and reusable safety fence. 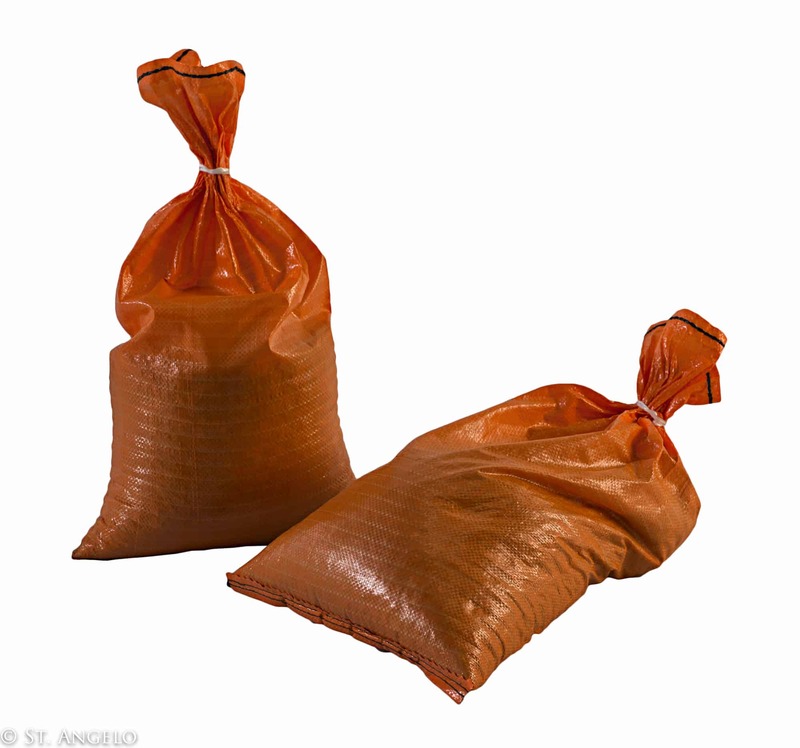 UV treated woven poly sandbag. All plastic frame, holds two signs. 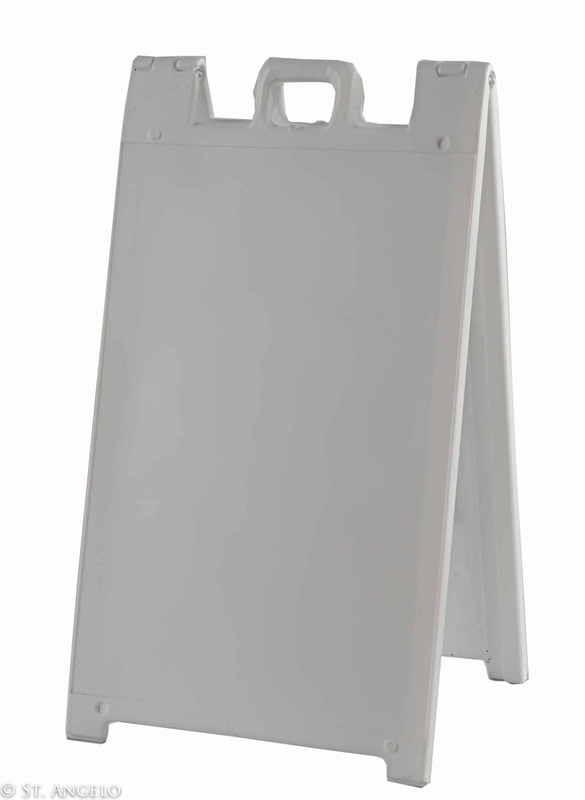 Sign face can receive vinyl sheeting, metal, Coroplast™, or acrylic sign blanks. 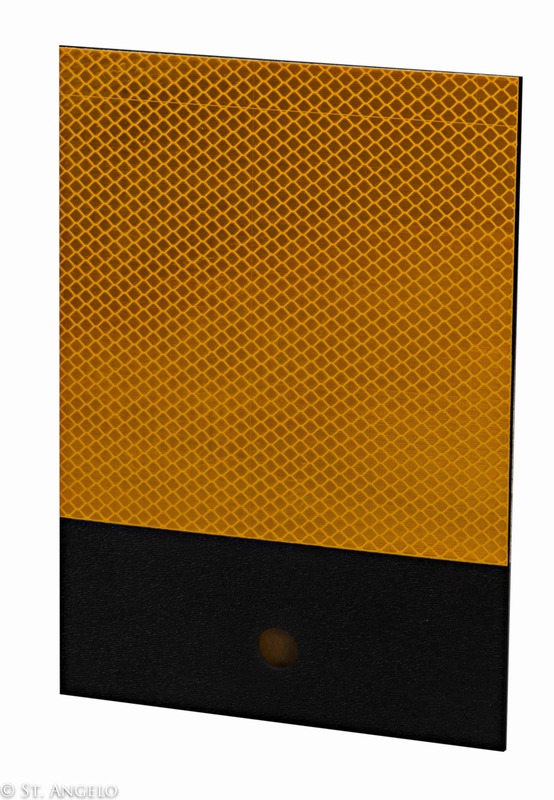 Roll-up stop/slow paddle offers full-size paddle in a compact and easy to store design. Kit includes sign face,telescopic handle, and carrying bag. 24″ H vinyl flag with 36″ H wood staff.